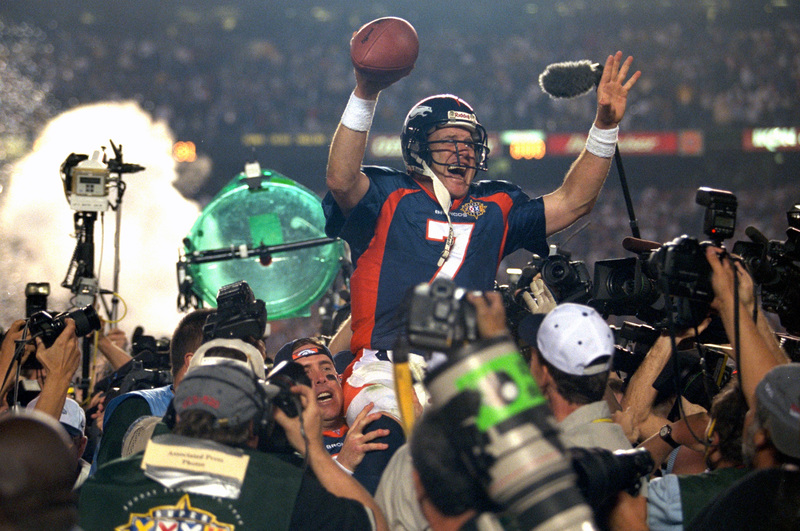 The Broncos claim their first World Championship with a 31-24 victory over defending champion Green Bay in Super Bowl XXXII at Qualcomm Stadium in San Diego. The Broncos become the first team from the American Football Conference in 14 years to win the Super Bowl and only the second Wild Card team ever to do so. Running back Terrell Davis sets a Super Bowl record with three rush- ing touchdowns to claim the Pete Rozelle Award as the game’s Most Valuable Player. Davis finishes with 157 yards rushing and ties the Super Bowl record for total touchdowns (3) and points scored (18).